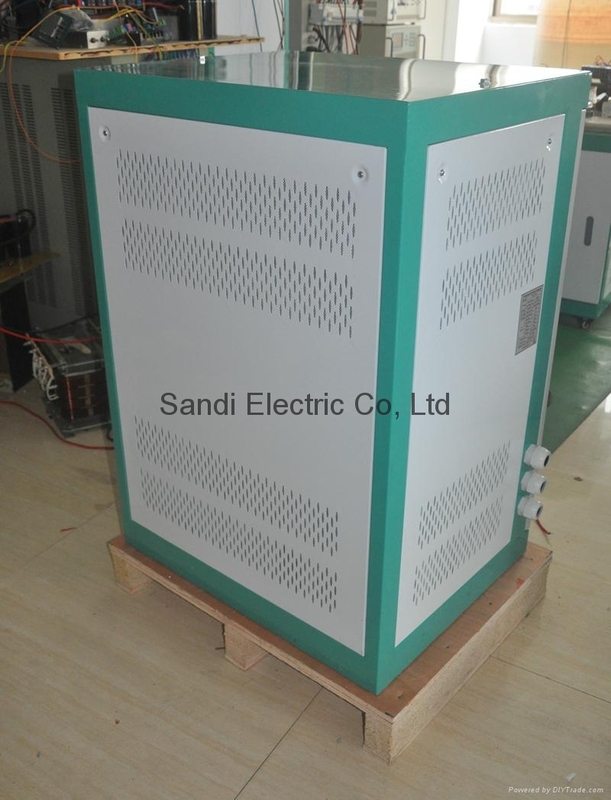 2, Two kinds of start mode: Reduction Voltage Start and Variable Frequency Start. Customers can set start mode according to the type of their load. 3, The output frequency can be set, this function is very convenient for customer. 4, The output voltage can be set between +20 % to -40 % of rated voltage. It’s a great convenience to users. 5, The DC input voltage range can also be set. Over-voltage point, under-voltage point, over-voltage recovery point, under-voltage recovery point all can be set via the LCD panel. 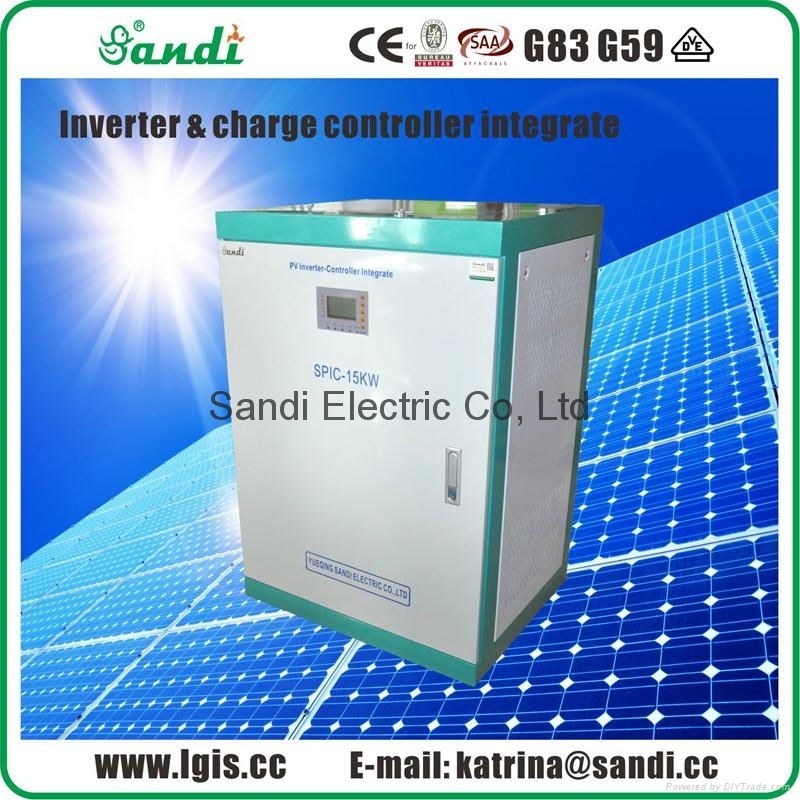 Convenient for increasing or reducing the quantity of batteries, photovoltaic modules also can be used flexibly. 6, Pure sine wave output. with good transient response less than 50MS, little harmonic distortion, higher conversion efficiency and stable output voltage. 7, Powerful data display and fault instruction function. 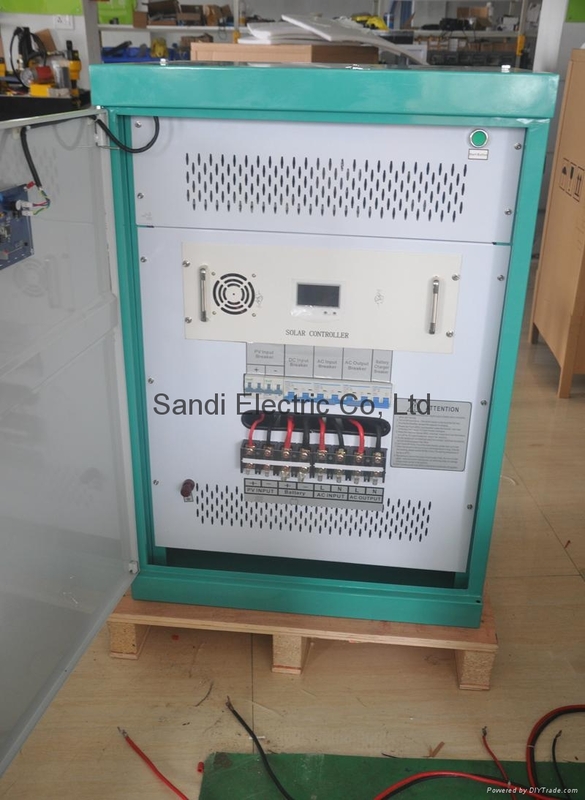 LCD can display the DC input voltage, output frequency, phase voltage, phase current, AC bypass input voltage, output power KWH, time and date, temperature, fault code display. 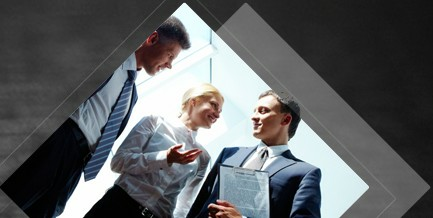 8, Product have passed the European CE (EMC and LVD) certificated and accredited by Australia CEC energy network.